One grim winter evening, when it had a kind of unrealness about London, with a fog sleeping restlessly over the city and the lights showing in the blur as if is not London at all but some strange place on another planet. Moses Aloetta hop on a number 46 bus at the corner of Chepstow Road and Westbourne Grove to go to Waterloo to meet a fellar who was coming from Trinidad on the boat-train. How you find your way around London, into the places and the neighbourhoods you can live in and be accepted to a certain extent. The reflection on class and race and how these fit together. Galahad is who Moses met on the train. This is as much his story. His musings on race — what better way to think about how it is constructed, how meaningless it is and yet still shape our lives? And Galahad watch the colour of his hand, and talk to it, saying, ‘Colour, is you that causing all this, you know, why the hell you can’t be blue, or red or green, if you can’t be white? You know is you cause a lot of misery in the world. Is not me, is you, is you! I ain’t do anything to infuriate the people and them, is you! Look at you, you so black and innocent, and this time so you causing misery all over the world. 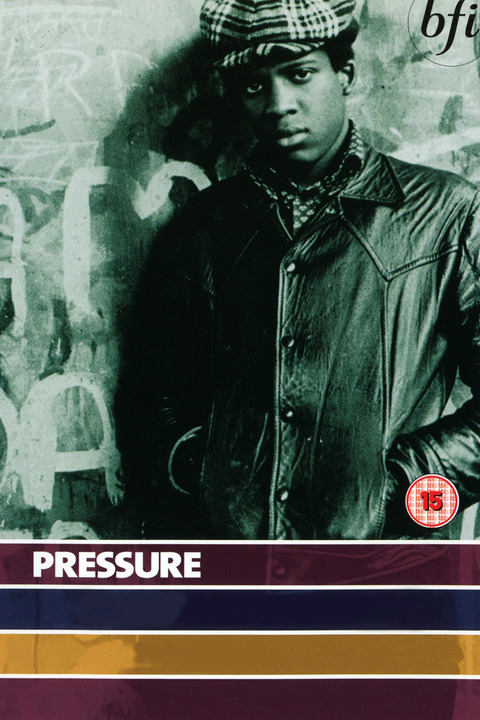 And then there is Pressure (1975), the story of Tony just graduated from school and looking for work and Notting Hill in the 1970s and the life of a kid born in London to Trinidadian parents who believe this will open doors for him despite the colour of his skin. 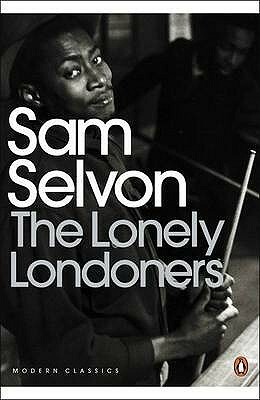 It is the first feature length British film by a Black director, Horace Ové, and cowritten by him and Selvon. It is a slow, but powerful engagement with racism, with the friendships built across race amongst the working class kids growing up together, with Black Power and Black realities in London of the time, of the tensions between generations and family born in one world and family born into another. It is rice and peas versus fish and chips. It is conformity to white masters and a white world and consolations in Jesus versus taking one’s place by right as a British citizen. It is how to take that right through collective action, but the limited numbers still engaged in that action. 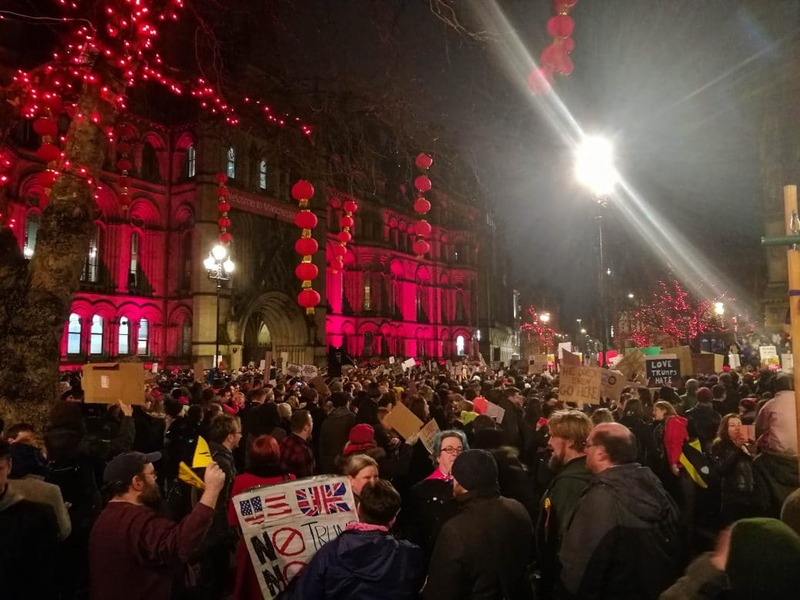 It is more serious than Lonely Londoners, a little more angry, less of good times even in poverty and more of struggle and frustration. More racist cops. More beatings. More complexity. It stays in one neighbourhood, perhaps you sense the tightening down of community, there is none of this sprawling across London that the life of hustling brings many of the characters in The Lonely Londoners. These characters, too, are absent in depth, there is no Big City, no Cap here though an echo of their younger selves perhaps, but instead a kid trying to make his own way, discovering racism for himself, working through his own identity slowly but surely. I quite loved Americanah — this story of Ifemelu and Obinze, funny that the fact that it has become a best seller gives me a little more respect for people in general and possibly also the literary establishment. Funny also that my love of it made me realise what a wonderful book it is, as so much of the dramatic arc is centered on relationships in a difficult world and that is not usually something that will grip my attention. I like my relationships solid and healthy and consisting of mutual respect and taking care of each other — I like them as things I don’t have to think too much about but can just trust. I hate drama in them. I don’t like to spend time talking through them or thinking about them or knowing about how other people do it (or fail to). So I kept wanting an element of the fantastical, a crime, I kept bumping into my own limitations. But I loved this book all the same. Of course, it is about lots of other things, race and class and loneliness and immigration and shame and the things we do for money and the things that break us and how we heal those breaks or fail to, how we name our integrity and keep it, what we do when it slips. It is about love. It is about change. About being brave. There were people who were born with an inability to be tangled up in dark emotions, in complications, and Iloba was one of them. For such people, Obinze felt both admiration and boredom (249). My disinterest in complicated relationships has nothing to do with lack of emotions, and this made me smile as I feel the same. Anyway. I am looking forward to everything else she has written. In the words of my partner, a corker. It left me with a number of impressions. The most overpowering is just rage and sadness at how the industrial revolution decimated lives. Half of children dead by the age of 5, average life expectancy from 45 to 50, the malnutrition, cold, damp, misshapen bodies, impotency and infertility, lost limbs, lost lives. I have now to prove that society in England daily and hourly commits what the working-men’s organs, with perfect correctness, characterize as social murder, that it has placed the workers under conditions in which they can neither retain health nor live long; that it undermines the vital force of these workers gradually, little by little, and so hurries them to the grave before their time. I have further to prove that society knows how injurious such conditions are to the health and the life of the workers, and yet does nothing to improve these conditions (107). The second is just how much this must have contributed to Marx’s thinking in writing Capital, I read it and throughout the empirical and social research I found so many echoes (but they must be considered previews really) of Marx’s more theoretical work making sense of it, bringing its insights into order and revealing a deeper structural functioning. 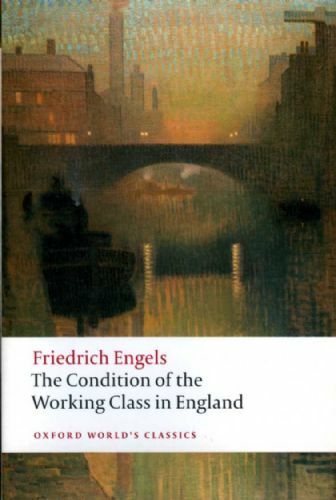 Editor and author of the introduction Dave McLellan notes that it was one of Engels’s articles on this political economy of the factories which first awoke Marx’s interest in economics when he received it as editor of the radical German journal to which Engels was submitting it. I can’t help but think that these two works should be more tightly linked, particularly for those like myself who are nervy of theory too removed from concrete fact. I like to think now, of this being the first volume of their work throughout the volumes of Capital, the understanding of raw suffering and misery, the initial grasping of the roles played by competition (given an entire chapter which proposes that capitalism consists of a never-ending movement between crisis and prosperity and this requires a reserve army of workers) and constantly improving technology, that drove them to fully theorise these things much more elaborately and certainly at far remove from the actual conditions described here. Some of them are revisited in Capital itself, but I found this to be far more persuasive, both why a bigger theory of capitalism was so desperately needed, and to dig into the way it has functioned to impact worker’s lives and how they have struggled against it (which Capital never gets to…). I can think of no more hilarious opening, and McLellen does right in pointing out (as Engels points out himself in his 1885 preface), how young Engels was: only 24 when he researched and wrote this between 1843-45 while working at his father’s thread factory in Manchester. How imbued he was with the idealism of the Young Hegelians and the even more radical politics of Hess and Marx. He remains in many ways a man of his time and class, with many a cringe-worthy sentence on the nature of the Irish and the stupidity of the working man, and the most amazing failure to see any revolutionary potential in the thousands of women and child workers. He sees instead a fundamentally unnatural system where women work and men actually take care of the home (OMG! the horror!). The finest part of this arrangement is this, that the members of the money aristocracy can take the shortest road through the middle of all the laboring districts to their place of business, without ever seeing that they are in the midst of the grimy misery that lurks to the right and the left. …they suffice to conceal from the eyes of the wealthy men and women of strong stomachs and weak nerves the misery and grime which form the complement to their wealth (58). The descriptions of thousands of people crammed into tiny closes with pigs and no sewage facilities or drainage or running water are heart breaking. He describes long strikes and gun battles. The ‘Rebecca’ disturbances in Wales, in which agricultural workers donned women’s clothing and black face to conduct their rebellion. he prophesied revolution coming at any minute. He was wrong of course, at least about the imminence of revolution. It reminds me of reading Angela Davis writing in the 60s, that firm belief that change is around the corner. Writing his preface 40 years later, I found it fascinating to discover that that part of his explanation for this failure is the rise of England as the manufacturing hub of a globalised world, exporting to all of Europe and creating a demand for its goods as far away as Africa. This caused the manufacturers to make a compact with workers (my word), raising wages and improving conditions so as not to interrupt production and wildly rising profits with growing markets whose demand outstripped supply. The beginnings of a newly reorganising chains of production and a growing globalisation. For me the key insight is that this spatial arrangement we know as the ghetto is not static or unchanging or some historical holdover that we can’t quite seem to get rid of. Instead, ‘the contemporary ghetto appeared a dynamic institution that was continually being renewed, reinforced, and reshaped’ (xii). It’s forces now as well as the past we need to be analyzing. Of all the books I’ve read, this is the most explicit about class differences and the different costs of policy and geography to whites in Chicago, also the most sympathetic to working class rioters. He certainly does show that ‘white hostility was of paramount importance in shaping the pattern of black settlement’ (9). Oh, white people and their imaginations sparked by their racist ways. There is so much to be unpacked in this paragraph, but I’m saving that for later. The forces promoting a durable and unchanging racial border–the dual housing market, the cost of black housing, restrictive covenants–were, at first, buttressed by teh hosing shortage. Once new construction began, however, those same forces became an overwhelmingly powerful engine for change(29). He notes the ‘imagined “status” differences that were impervious to the bleaching power of money’ (35), the fears of losing the ‘life and death’ struggle for housing. He also notes the shift from open racism in the struggle to protect neighbourhoods to the use of planning jargon and the language and tools of redevelopment. Another key insight is into the nature of Chicago’s ‘hidden violence’, kept quiet by media and ‘conscious city policy’ (42) to try and dampen the possibilities of even more extended racial violence like that erupting in 1919 and 1943 when many lives were lost at the hands of white mobs. In fact white mobs were able to form at will to ‘protect’ their turf, and these collections of ‘Friends, neighbors, and rioters’ were horrific. They are fairly well documented as well, a large proportion of working-class immigrants coming together (German, Irish, Slavs, Poles), a large proportion of Catholics, almost all from the neighborhood under threat (no outsiders here stirring things up…). They laughed like anything to see that things were looking dark. Nothing would have shocked Hype Parkers more than the assertion that they were part of a generalized “white” effort to control the process of racial succession in Chicago. The imputation of brotherhood with the ethnic, working-class rock throwers would have been more than they could bear. Yet, there was just such a consensus (171)…. Chicago’s whites found themselves engaged in a desperately competitive struggle with each other. The successful “defense” of one neighborhood increased the problems of the others (172). Second, the immigrants and their children displayed the poor judgment of becoming militantly white at the precise moment prerogatives of color were coming into question. If they were successful in finally lining their identity to that of the natives, they were left not simply with the natives’ privileges of rank but also with the bill for past wrongs that the “whites” were now expected to pay’ (198). This simply feeds into a neoconservative line that these ‘bills’ have been paid when they have never ever been properly faced in this country, much less paid. Sure working class whites have benefitted less and been screwed over plenty of times, but they have still benefitted, and inequalities in wealth between them and all peoples of color continues to grow. Back finally to the formation of the ‘Second Ghetto’. The one that emerged after downtown interests and other powerful institutions like the University of Chicago anchored in the center city under threat ‘realized that the power of the state — not as it then existed but in greatly augmented form — would have to be enlited in their aid’ (213). The working class whites defending their neighborhoods never managed to wield this kind of power, but violence did prove ‘effective’ in many neighborhoods (far more than those who simply relied on covenants), did influence public policy, and certainly impacted the Chicago Housing Authority so that it institutionalized segregation as policy — particularly in projects where whites were willing to fight violently against integration. These new pressures — planning, redevelopment and public housing policy — combined to make segregation more a result of government policy than private activity. It was so entrenched, when the federal court ordered further public housing to be fully integrated in 1969, Chicago just stopped building new housing. Chicago’s redevelopment policies — developed primarily to benefit the University of Chicago and other downtown interests, then became models for the nation. But this story is a familiar one to anyone who knows Detroit, St Louis, L.A., probably any city in the whole damn country.